Searching for the Lost Original Spirit of Chinese Medicine 《寻回中医失落的元神》 by Pan Yi 潘毅 is a new book, which I found during my recent visit in Beijing. 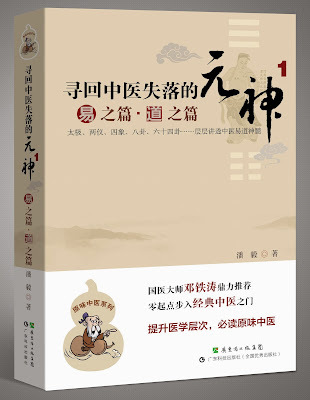 The book is in Chinese and has two parts: the first one is on Yi Jing 易经 and Dao 道, and the second part - on symbols and phenomena 象 related to the concepts in Chinese medicine. Pan Yi is a professor at the University of Chinese Medicine in Guangzhou. When in the 1990s he started teaching Chinese medicine classes to his students, he wanted to add more content beyond the textbooks, so he started reading Yi Jing (the Book of Changes) and other classics, and then found that the standardized content in the textbooks is very shallow and have lost the original way (Dao 道) and spirit of Chinese medicine. 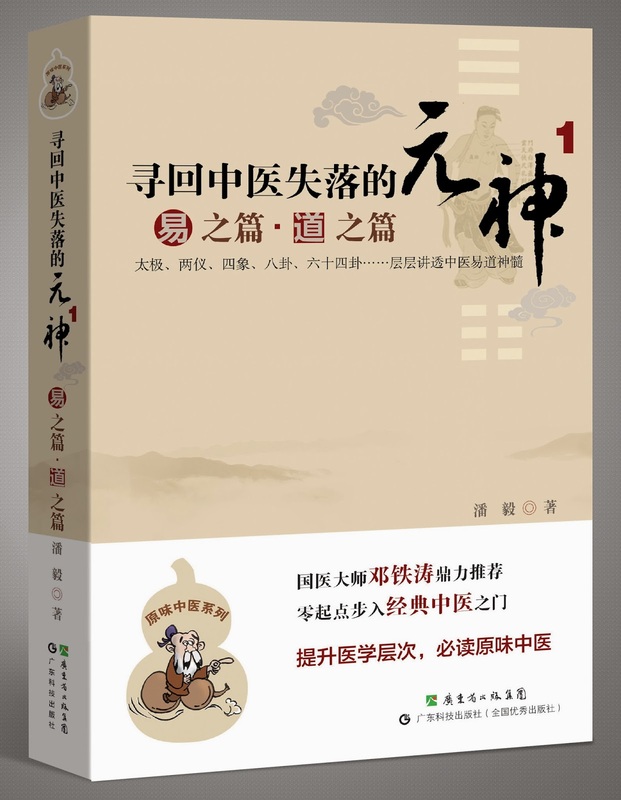 The current textbooks are serving to accomodate the technical approach to modern science and make it easy for the students to pass the exams, however they don't reach the level of effective depth that is inherent to the classical Chinese medicine. In this book Pan Yi has made a thorough study of how the Yi Jing hexagrams and the principles of the five elements integrate with Chinese medicine, i.e. the characteristics of the inner organs, the properties of herbs, the making of herbal formulas and many other related topics, using examples and quotations from different classics. I highly recommend Searching for the Lost Original Spirit of Chinese Medicine to all who are interested in the topics of Chinese medicine and Yi Jing.